Most dry cleaners are familiar with the OTPR (oily type paint remover) Pyratex®, manufactured by Streets®, an outstanding stain remover and an industry staple for many years. 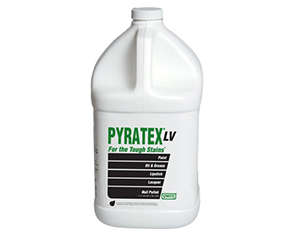 Pyratex® has the ability to quickly cut through exceptionally heavy stains such as grease, shoe polish, lipstick, paints and oils, just to name a few. Today I have the opportunity to tell you about a new type of Pyratex® - Pyratex LV®, a virtually odorless, color friendly, leave on, no flush, OTPR, that will not affect the flash point in solvents. Now, I know what you are thinking, "Mike, it is your job to sell Pyratex LV®, so you may be a bit biased" and I am, but those customers of mine who have already purchased the new Pyratex LV® are seeing that this new product is finding a very useful place on their spotting board, right along side the Pyratex® they have been using for years and is making their jobs much easier. Just like the Pyratex® that dry cleaners have been using for generations, Pyratex LV® is formulated to take on the heavy-duty stains. It can handle paint, oil and grease stains, as well as lipstick and cosmetics. It lubricates, lifts and suspends soils to prevent it from redepositing on fabrics. It is virtually odorless. Another nice aspect of the Pyratex LV® is the fact that it does not need to be flushed from fabrics when cleaning in perc, HFHC and LFHC. It can be used effectively in D5 solvent, but will require flushing with steam, water or other flushing agents. Even better, it does not need to be flushed in wetcleaning or laundry. Yes, that is right you can use Pyratex LV® in your wetcleaning and laundry. In fact for those of you using the "old" Pyratex, I would think of the new Pyratex LV as "Pyratex for laundry". Dry cleaners know that one of the biggest challenges in laundry is the removal of food greases, oil stains, cosmetics, waxes and so on. Washing and wetcleaning does an excellent job at removing water soluble soils, but the real challenge comes when faced with the solvent soluble soils in wash/wetcleaning. Quite often a dry cleaner will take valuable time and added expense by first cleaning a garment in their dry cleaning machine to remove these oily type stains and then laundering them, that is if they can be dry cleaned. However, by using Pyratex LV® as a pre-spotter, you can eliminate having to go to the dry cleaning machine to first remove grease stains before laundry. Pyratex LV® is sold by Streets®authorized distributors. All ingredients are biodegradable. It contains no Proposition 65 listed ingredients or halogenated compounds and is designed to comply with California 2013 VOC regulations. This leads me to the question, how do you remove grease stains in laundry and the answer is simple - you use Pyratex LV®! A question I am often asked when visiting dry cleaning plants is what can I do to increase my sales here? And lets face it, rents are high, dry cleaning volumes are down, who couldn't use some extra revenue. What I find interesting about that question is that the answer is more often than not, already in place, it just needs to be cultivated and even furthermore, it is usually something that will not require any cash investment or a small one at most. These are usually actions that will require very little extra effort. What do I mean by this? Quite often the dry cleaner has the additional services that can increase sales already in place in the dry cleaning establishment, but the dry cleaning consumer may not know these services are available and furthermore these services are often overlooked by the customer service personnel working at the point of sale (the front counter). That's right, the front counter is the point of sale and there needs to be more selling taking place. It is surprising how often I see a customer run into the cleaners, drop his clothes on the counter and run out, without any interaction or upselling taking place. While it is a very desirable to have this kind of relationship and trust by your customers, the owner of the dry cleaners is missing the opportunity to build sales. Think of how many restaurants or fast food establishments ask if you want a dessert item with your meal or if you would like to upsize to a larger size. Other types of business may ask if you would like to extend the warranty period with your purchase and so on. Some "extra" services that require little or no investment and are offered in many drycleaning plants. Word of mouth. The csr needs to explain to every customer what services or specials may be going on. This may be awkward, as not everyone is comfortable in a sales position. However, if they just start practicing and learn to ask pertinent questions, they will soon be off and running. Signage. 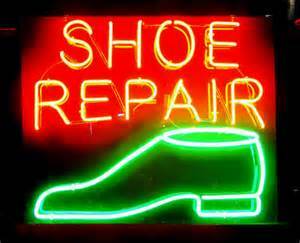 Does your store have signs explaining additional services that you may offer? Printed material. Hang tags, pamphlets stapled to the order or on display on the counter are all great ways to inform the public. Email and text. If you have permission and the email/text addresses of customers, sending a regular promotion or information text regarding those "add on" services that you offer is a great way to build this part of your business. Again, this is a very low cost investment if you already have a database on your customers. 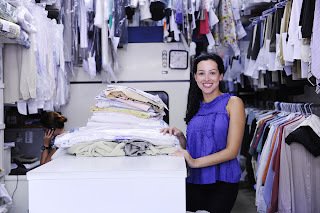 There are many ways that a dry cleaner can add simple extra services to their already existing way of doing business. There are many ways the dry cleaner can get the message to his customers and inform them of these extra services. With a little training of the counter sales personnel and persistence, these small services can add to the bottom line and pay off. Its been a while since I have posted here on The DryCleaners Blog, my schedule has had me quite busy and has kept me from putting some good quality information together for the dry cleaners of the world. However, one of my friends from the west coast, Dan Pollock, a dry cleaning professional who has recently started a new website ProfessionalGarmentCare.com has come to my assistance and has put together several very informative articles for the world of dry cleaning. Dan is a very knowledgable guy and I am sure you will find this posting about stain removal products to be very helpful in your day to day operations of your professional dry cleaning business. We are glad to have Dan as a guest author here at The Dry Cleaners Blog. Lets face it, when it comes to stain removal products there are hundreds of products out there, deciding which ones are effective and which ones you truly need can be a trial and error process. 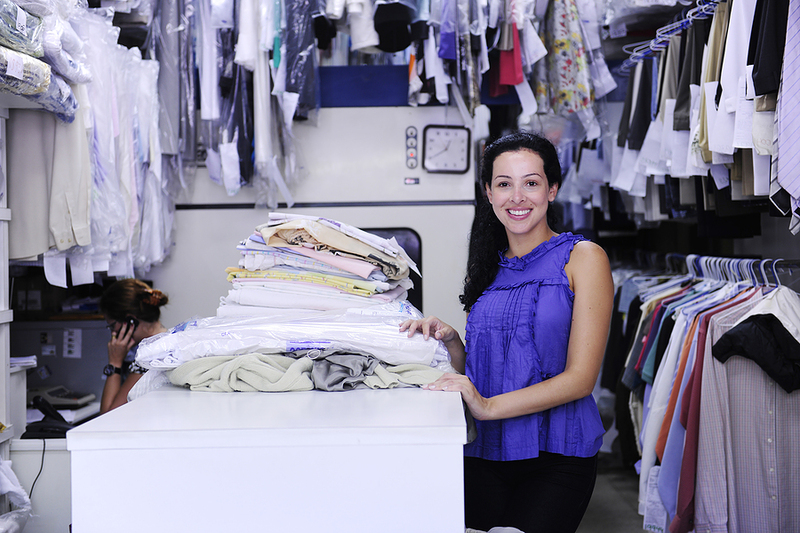 A process that can be very costly, time consuming and result in claims for the professional dry cleaner. However, deciding which of these stain removal agents you need and how many of these bottles are setting on your spotting board is also an important part of the stain removal process. Stain removal agents are the tools with which you will use to go to work on what is often the exact reason a customer has brought a garment to your store, to remove a stain. These tools are really no different than the way you would use your tools in your toolbox to repair a piece of equipment in your plant. What do I mean by that? Well, when you need to make a repair to your equipment, you go to your tool box and find the tools you will need for the repair. If all you have is a hammer, flashlight and a screwdriver, you will be very limited to the repairs you are going to be able to do. In stain removal, if all you have is a POG, you are going to be very limited in the types of stains you will be able to remove. With that in mind, the greater the variety of tools/stain removal products you have, the more repairs/stain removal you will succesfully complete. Also, by eliminating being forced to use the wrong tools/stain removal agents, the more you will limit the potential of doing damage by using the wrong tool. 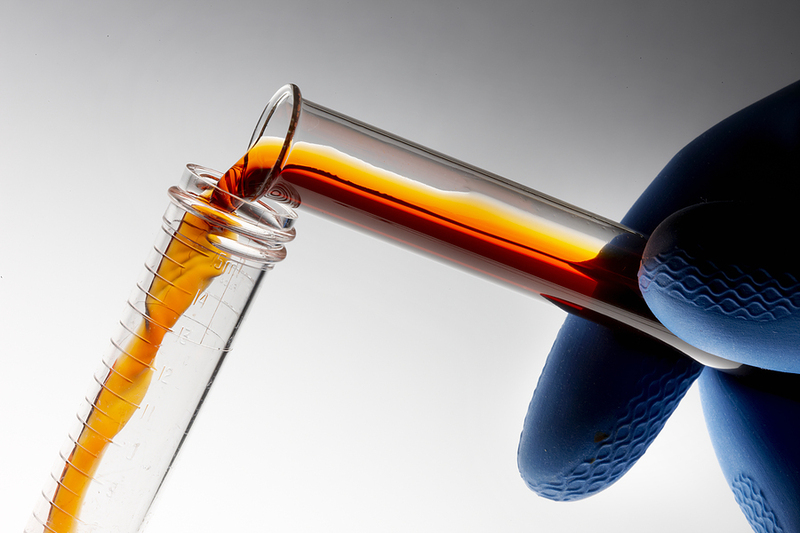 How many different ingredients do we encounter in stains, garment construction and stain removal products? Too many to count. Every manufacturer has its own specific ingredients in their stain removal product which has been designed to remove specific types of stains. Some will only be safe on garments of a certain type of construction and a specific type of stain, others may cover a wider range of stains and many types of garment construction. The manufacturing of garments can be very complex, with many different types of fabrics/components being used. Then there are the stains. These can be of a combination of multiple ingredients, oily, acidic and alkali. When you really think about this, the more stain removal products that you have with different ingredients, is very similar to a tool box that has a large variety of tools. Simply put, more tools/stain removal agents will allow you to increase your ability to repair your equipment/remove stains without damage caused by using the wrong tool. If you are frustrated with your stain removal results and you want to remove more stains without damage to the garment consider getting more tools (stain removal agents) and learn how to properly use them. You will have those on your spotting board that are your favorites or that you will find are used the most often, but you will also find there are many types of specialty tools that you can put away for those more special needs that you will encounter. By having those more specific stain removal agents on the shelf and ready to be used, you will definitely find that you will have more effective stain removal that will lead to happier customers and who doesn't want happier customers? When was the last time spilled milk sparked a business idea? Earlier this year, in fact, when Ryan Del Rosal and Dariy Margaritov came up with the idea for CleanTie.com, an internet service that matches local drycleaners with people in need of laundry pickup. The two men were traveling to another city on business when spilled milk on a suit almost ruined an important business meeting. The spilled milk incident inspired them to develop a way for people to request laundry pickup in a hurry. So what’s next for CleanTie? The company is in the beginning phases of filming a commercial that features their company racecar. The CleanTie public relations spokesperson, Blair Nastasi, said of the commercial, “Expect the commercial to be entertaining and a little edgy. CleanTie wants to convey the message that dry cleaning doesn’t have to be such a serious inconvenience. We are here to make your life easier. Letting us handle your dirty laundry gives you more time for the important things in life." There are many factors that can influence drycleaning results, everything from wash times, to load size, solvent levels, load classification, detergent use, and the list can go on. All of these things must be correct in order to achieve a high level of soil removal in the dry cleaning process and as professional dry cleaners, this should be our goal. In the past I have posted regarding many of these different operating parameters, but recently I had a customer of mine point out that I never really post much about the old time, low flash hydrocarbon using washer-extractors, that I only post about the newer high flash hydrocarbon and perc machines. In the southeastern US, there are a large number of low flash hydrocarbon (LFHC) users. These washer-extractors where built to last a lifetime and they have. With their huge base tanks (up to 200 gallons and more), behemoth filtration systems (up to 42 filters), moisture controls, properly sized wheels, pumps, wash times up to 30 minutes and charge system, what is not to like about doing dry cleaning using this type of process. The simplicity of operation and quality of cleaning using this type of process is something that we will probably never see in this industry again. In these machines, the charge system meant that detergent was maintained in a consistent percentage of the solvent. This could be anywhere from a 1% "charge" up to as high as a 4% "charge" (in those processes using a clear rinse). By maintaining and checking this charge, a dry cleaner could expect to remove a very high level of water soluble stains, they could expect no static, no lint and very consistent results, but the key to this is that you have to check your charge. When I was running a charge system, I made it a point to check my charge twice a week. This told me if I had too much detergent or not enough. Checking your charge is not difficult to do, but yet I rarely see any dry cleaners do it anymore, which makes me wonder how do they know if they have the correct amount of detergent in their machine? Checking your charge takes 5 minutes or less. The test solutions are only a couple bucks and are very simple to use. Your soap company might even just give you a test kit to get you started and would surely go over how to check and maintain your charge properly. If your soap company cannot help you out with this, find one that will. You may find that you are using a soap that cannot be checked. It is hard to believe, but there are companies that make charge detergents that cannot be checked. What is that all about? If you have one of those charge detergents that you are unable to check, I would have to ask why not? How do you know if it is correct or not? Go figure. While the dry cleaning industry is an old industry, it continues to evolve, sometimes for the better, sometimes not. Maybe I am feeling a bit nostalgic this morning, but the fact is, those old time dry cleaning processes could do some very good cleaning. It is amazing how time flies. It doesn't seem all that long ago that we were meeting for the 2010 Southern Dry Cleaners and Launderer's Show, yet here we are into the first week of June and the 2012 Southern DryCleaners & Launderers Show is only 3 weeks away and from what I am hearing from those that exhibit at the trade shows, this show is going to be a good one. 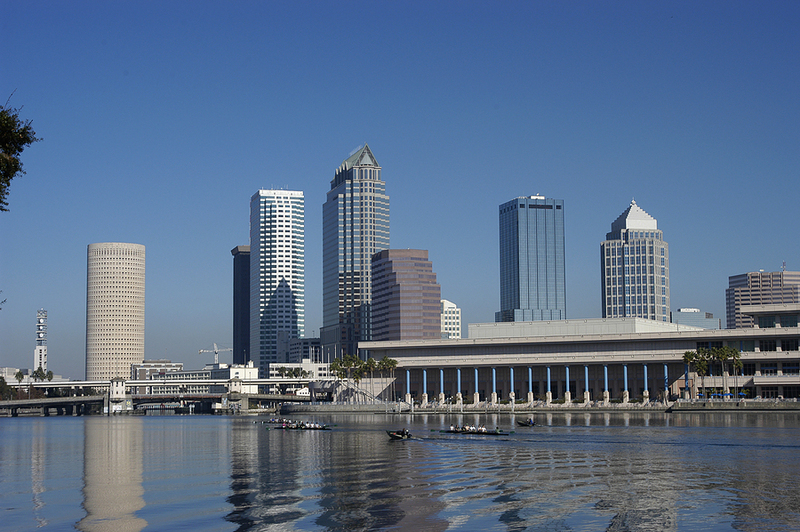 This year's show will be held in Tampa, Florida at the Tampa Convention Center from June 22 thru June 24 and with over 70 companies exhibiting at this years show, every facet of the dry cleaning industry should be represented. There will be every type of equipment on display, from boilers to dry cleaning machines. The soap and chemical companies will all be in attendance. If you are seeking new software or computer systems for your dry cleaner, this is the place to see them in operation and do not forget about the distributors. This year's show will also feature industry experts that will be conducting seminars on several subjects including dry cleaning plant maintenance (my favorite), as well as successfully operating routes and several more. This show only comes around every 2 years and is a great opportunity for those of us that live in the Southern US to attend one of the best dry cleaning related trade shows in the country, without having to travel too far. Take advantage of this opportunity to meet up with old friends from the industry, make new friends, see the latest innovations, learn from the experts or to just take a well deserved break. 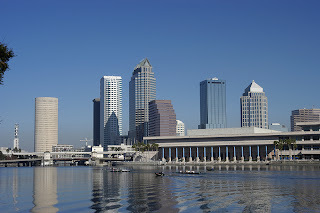 So make plans to come to Tampa, FL on June 22 thru June 24. I will be working in the R.R. Street and Co. Inc. booth, stop by and say hello. I hope to see you there!!! For more information regarding travel, accomdations, tickets, etc. Visit the Southeastern Fabricare Assocations (SEFA) website. 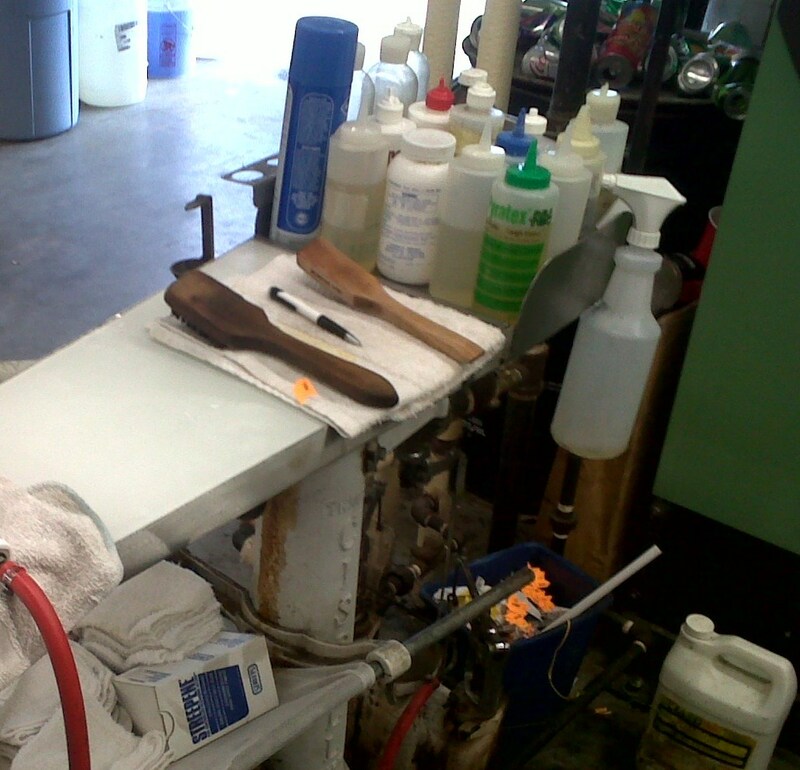 When it comes to top notch dry cleaning, you have to keep them separated. What I am talking about is load classification. Along with having the proper solvent levels, proper detergent usage, good filtration, proper wash time, load factor, fabric finish and effective stain removal, you will need to separate garments into classifications and clean those classifications of garments in the same load. Proper classification will help to prevent the garments from several types of garment problems such as dye transfer and redeposition, to inconveniences and production slow downs such as excessive linting, streaks and swales. When looking at load classification, there are 2 basic reasons for classifying garments. One is to insure fabric safety and the second is to achieve the maximum soil removal without redeposition. There are many different types of fabrics, dyes and fibers. All of these will not withstand the same dry cleaning process. Lace and beads, for example will not withstand the process that will give maximum soil removal, unlike the hard wools and some blended fabrics. Because of this, when it comes to classification, the consideration of fabric safety must be taken into account first while soil removal becomes secondary. Pre- testing dyes and trims is also a very important part of the classification process. What I am seeing in the average size dry cleaning plant is 5 different classifications for garment cleaning. Heavy weight hard wools and blends of a dark color. Heavy weight hard wools and blends of a light color. Light weight silks and fragiles of a dark color. Light weight silks and fragiles of a light color. And lastly, the bleeders (garments susceptible to excessive dye fading). Separating by weight is important. The heavy weight fabrics are much more durable than the lighter weight fabrics and can usually withstand the wash times necessary to adequately remove soils. Typically, dark fabrics tend to be dirtier (they are often worn longer) and will require a longer wash cycle. They also dry much slower, so when cleaned with lighweight garments they will often be the cause for streaks and swales, resulting in re-cleaning of the lightweight garments. Separating by color is a must. Sorting by color, keeping the light colored garments and white garments separate from the dark colored garments will help to avoid discoloration from the bleeding of dark dyes onto the lighter colored garments and greatly reduce the risk of garment claims from this type of redeposition. Separating the bleeders is crucial. Dry cleaners today are taking in more garments that will have dye fading and bleeding than we have ever experienced in the industry. These garments are a major cause of garment damage. It is crucial that the drycleaner watch for these types garments, pre-test to see if they will bleed and separate those garments that do bleed, so that they can be run in a bleeder type of load (garments are cleaned off filter and solvent is sent to the still after this batch cleaning). This will help to prevent garment claims, reduce maintenance needed to keep solvent in good condition and extend the life of cartridge filters. These are the basics of garment classification. However, this can be greatly expanded on to include garments with fancy trim, beads, sequins or household items, restoration type work, heavily soiled garments/uniforms and the list can go on and on. Most new dry cleaning machines such as the Union, Firbimatic and Columbia are now coming with a great selection of programs that will cover the majority of those needed by a dry cleaner when separating into proper load classifications. *The challenges of proper garment classification. 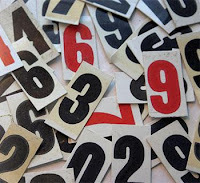 The volume of dry cleaning that is being processed by the dry cleaning plant will dictate the practicality of using these load classifications. High production plants will have a much easier time with these classification than the smaller plants. Because of this, how you classify garments will really depend on your work flow and plant procedures, as well as machine size and volume of clothes processed. 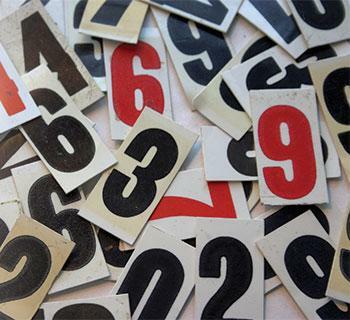 The classification procedure you use should be one that will give you the greatest degree of separate classifications while still maintaining efficient production rates. The deciding factor for the cleaning procedure of any load of dry cleaning must be based on those limitations of the most fragile item in that particular load of dry cleaning to avoid damage.